Using a holiday as an excuse to make gifts is great. You already have a theme or color scheme. Since it’s Valentine’s Day this month think red and white and hearts. Think romantic! There are lots of projects that take very little material and cost . Best of all they are quick!. I’ve written many tips books. Depending on the times, some have addressed money issues and focused on projects that cost next to nothing. At other times “easy” was the focus like “Leslie Linsely’s Quick and Easy Decorating Tips”. At another time I wrote, “Leslie Linsley’s High Style Low Cost Decorating Ideas”. Everyone wanted, and maybe still do, a great look for little money. But right now everyone is time conscious. Saving time, instant gratification, but great results! Today in the New York Times I read that the high-powered business lunch in a fine restaurant is dead. No one wants to take the time. And after a two-hour lunch they have to devote twenty minutes to catching up on twitter and emails and such. Seems a lunch at the drugstore counter (ideally with your computer along) is the way to have it all: lunch and business on the go. Sure doesn’t beat a lovely, slow lunch at the Centre Street Bistro. Crafting and quick gratification seem to be an oxymoron. However in the spirit of the current sentiment I’ll try to respond accordingly. The following projects were designed to be easy, quick, money-saving and satisfyingly good enough to give as a gift. Make something for yourself. These are good winter projects. These craft projects are good for any time of year. 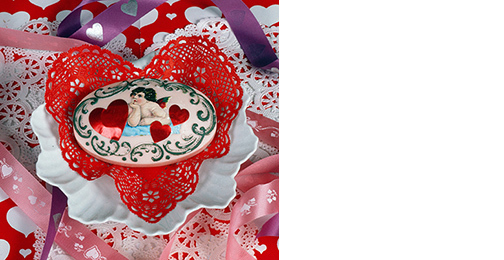 But, since it’s Valentine’s month why not make something red and white from the heart? 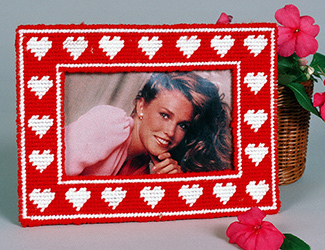 Needlepoint Frame: Using a piece of plastic canvas, cut 2-1/2 inches larger than your photo. Cut a rectangle out of the center with an opening slightly smaller than the photograph. Follow the picture to create borders and hearts with red and white yarn or go to my website: leslielinsley.com for a needlepoint pattern. Place finished frame over the picture and tape to back. To finish back: cut a piece of fabric or paper same size as frame and using Elmer’s glue, attach. 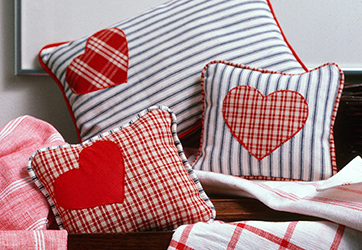 Ticking & Heart Sachets: Use scraps of fabric to make a bunch of little sachet pillows. 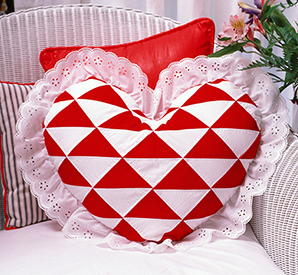 Use contrasting fabric for a heart applique on each one. I used contrasting fabric to make piping around each one. Stuff with potpourri, pine needles, or just cotton stuffing. 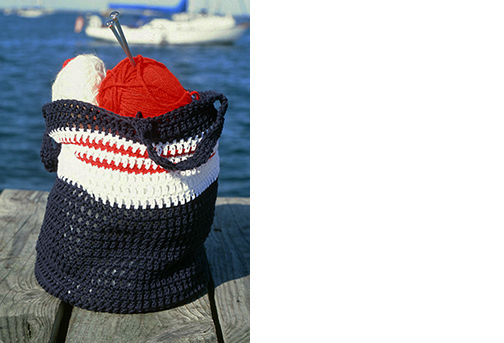 If you know how to sew these are a cinch to make from your scrap basket.